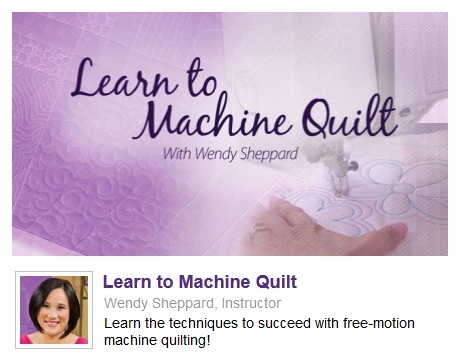 Learn to Machine Quilt Giveaway WINNER & Discount Code! Hello Friends! Thank you for stopping by again. It’s time to announce the winner of my Learn to Machine Quilt giveaway! Thank you ALL for entering the giveaway. I appreciate all the comments you left. I am happy to congratulate Claudia D (#91) as the giveaway winner. 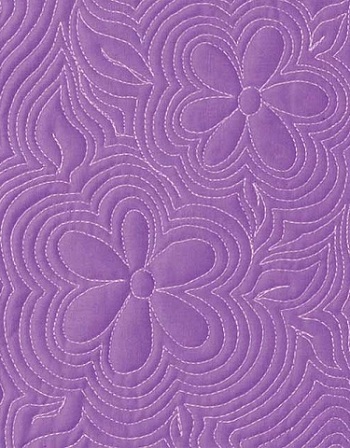 Claudia, Annie’s will contact you with further information on your free copy of my Learn to Machine Quilt class. I am also excited to share with you about a $5 discount for the class Annie’s has offered to my bloggy friends. The offer is valid for a limited time – between now and 8/14/2014, applicable for BOTH the online class as well as the DVD — content is the same for both the online class and DVD. You may click here to read more about the class. Click HERE to sign up for Learn to Machine Quilt class, and do not forget to enter discount code EZHMQ at check out for the $5 discount. Jean left a sweet review on the class on yesterday’s post. She made my day! I hope you will let me be your quilting buddy as you embark on your own machine quilting journey by signing up for the class. Plus, you know where to find me should you ever need help. That’s all for today. I am back in panic mode in the frying pan. You will know what I mean when I post a sneak peek in a couple of days! Meanwhile, you all take care.